The English Mastiff, or more commonly just the Mastiff, is an extremely large domestic dog breed thought to be a descendant of the Pugnaces Britanniae and the ancient Alaunt. It is also said to be a close relative of the Alpine Mastiff. There are about 14 different breeds of Mastiff, and the English Mastiff is among the largest and the gentlest of them all. Mostly when kennel clubs or ordinary people talk about a mastiff they really mean the Old English Mastiff or simply the English mastiff. 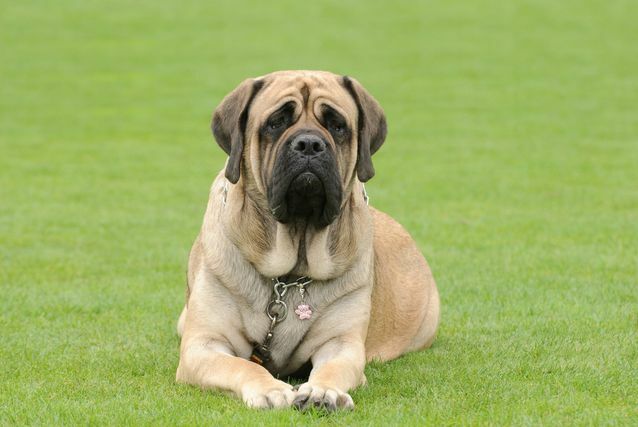 The other mastiff breeds are usually referred to as mastiff-type dogs when there is no specifications put. The molossus, who is said to be an ancestor of mastiff dogs, was a popular war dog in the ancient Greco-Roman communities, about 5000 years ago. The molussus is however extinct, and there are only vague descriptions of how it exactly looked. The mastiff has the biggest mass although the Irish wolfhound and the Great Dane are taller. So it’s the biggest breed in terms of mass size, but not in terms of height. An adult mastiff can weigh as much as 140 -200 pounds, which is the average weight of adult humans. Modern harmless mastiffs started being bred in 1835 when Britain outlawed dog fighting and mastiffs stopped being bred for battles. Mastiffs almost got extinct during World War I because most families could not afford to keep them due to their high food consumption needs. Breeding efforts however stabilized their numbers although they also dwindled during World War II. Puppy Price: $1000 USD and up. 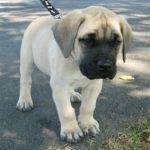 The dietary needs for a puppy English mastiff that have been weaned are three times as much as those of human babies because they grow three times faster and bigger. After 8 weeks of life you it’s not recommended to give the mastiff milk but real dog food. Many mastiffs love a diet that consists of a mixture of meat and tripe, but they have enormous appetite so you may want to buy affordable food. For young and maturing pups, a food ratio of 2/3 meat to 1/3 biscuit is sufficient. Most English mastiffs love plain whole meal biscuits instead of other flavored types. Many mastiffs will also love fresh cooked or uncooked vegetables like carrots, sprouts and cabbage. They should also be given plenty of water, especially because the drool a lot. A puppy mastiff requires about four meals in a day while an adult mastiff survives well on two feeding times. The English mastiff is a domestic giant dog that lives in homes. 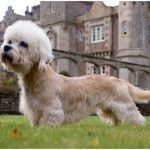 Although they have giant bodies, this dog breed is very humble, relatively harmless, although they will instinctively defend their owners from attack. Their huge bodies are their main source of defense. They make for perfect companion and guard dogs because of their gentle, calm nature. 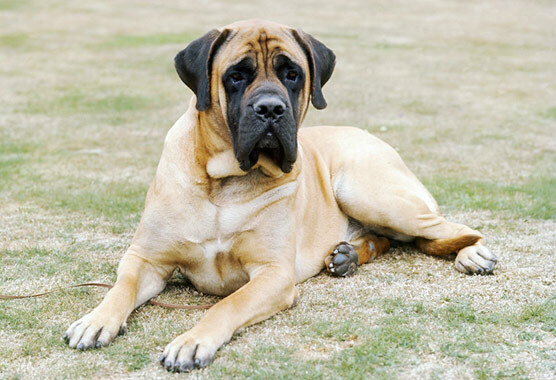 The Mastiff is a housedog and because of their large size, they require a lot of space. 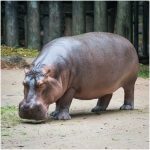 However, they are comfortable living in a small house as long as they play outside and go for walks regularly. Being loyal dogs, a mastiff loves to follow their master around and enjoys the company of humans. The breeding of modern mastiffs has been a subject of endless debates. The Mastiff Club of America (MCOA) for instance, has put in place rules and regulations concerning the breeding of Mastiffs. One of the rules requires signatories not to breed mastiffs until their 22nd month of age and after their 7th year of life. This giant dog has a square shaped head, broad skull and gigantic body. It’s body is large both in breadth and depth, with a wide space between the forelegs. AKC approximates that male mastiffs have 30 inch (76 centimeters) broad shoulders, while females have 27.5 inches (70centimeters). The average weight of mastiffs is 130 kg. However, males are generally heavier at about 68kg – 113 kg, while females weigh in at 54 – 91 kg. 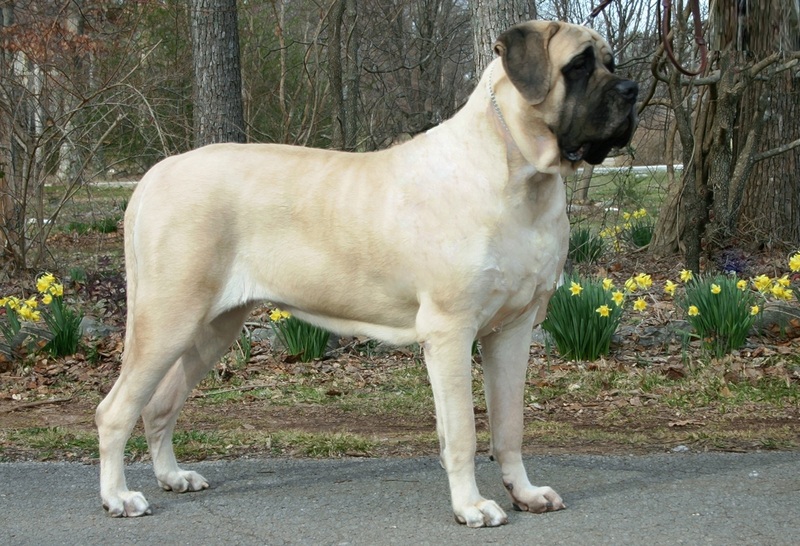 Most English mastiffs have a color that ranges from fawn (also ranging from light silver to golden yellow) to apricot, brindle, tiger and silver. The color of their medium-sized eyes is from brown to dark hazel, separated with a black mask. Their teeth form a scissors bite and normally won’t show when their mouth is closed. They have V shaped dark years and also dark noses. Their tails are high-set and with a wide base. 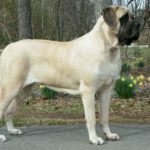 Their coats are generally short and well groomed, although there are mastiffs with long hairs as a result of a recessive gene and are called fluffies. Mastiffs averagely live to about 7 years, although many have lived to see their 10th or 11th birthdays. There is in fact a mastiff called Kush who lived to see his 15th birthday in Australia. Most mastiff dogs are generally healthy throughout their lifetime, although this is not a guarantee and depends on the purity of the breeds. Breeders of mastiff dogs always screen them for dysplasia of the elbows and hips, check their heart for congenital cardiac disease, and also get their eyes tested by an ophthalmologist. There are also optional tests done for autoimmune thyroiditis and cystinuria among others. 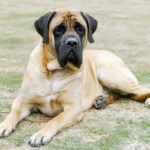 Mastiff breeds are also susceptible to other diseases including persistent pupillary membranes (PPM), entropion (a problem with the eyelid and eyelash scratching the eye), vaginal hyperplasia, allergies, obesity and a number of cancers. 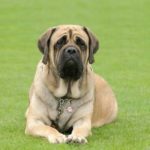 It therefore important that people considering adopting mastiffs as pets learn about their health risks and what they can do to curb them from succumbing to different ailments. The short-haired coat of these giant dogs is extremely easy to groom. Brushing can be done once a week with a rigid bristle brush after which you can gently wipe with a towel cloth and apply chamois for a radiant look. Since they don’t have an annoying dog odor, a regular bath is enough to keep your dog feeling fresh. Like other dogs, grooming mastiffs also requires that you maintain their teeth, trim their nails, and regularly clean their ears. The sleek coat of mastiffs hardly shed, and major shedding may only be observed in fall and spring. The mastiff is called the gentle giant because of their relatively peaceful personality despite having a muscular powerful body. 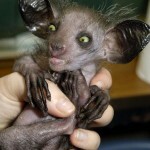 They are docile, even-tempered and extremely intelligent; qualities that make them good with children. The English mastiff is famous for drooling a lot, snoring rather loudly and wheezing. They however don’t bark much as adults and even when defending their territory and masters they will tend to do it silently. These gentle giant dogs make perfect guard dogs by just their scary big appearance. They are very patient even with other pets and are extremely loyal to family.